I got together with my crafty chums today and we decided to have a play with some wire. 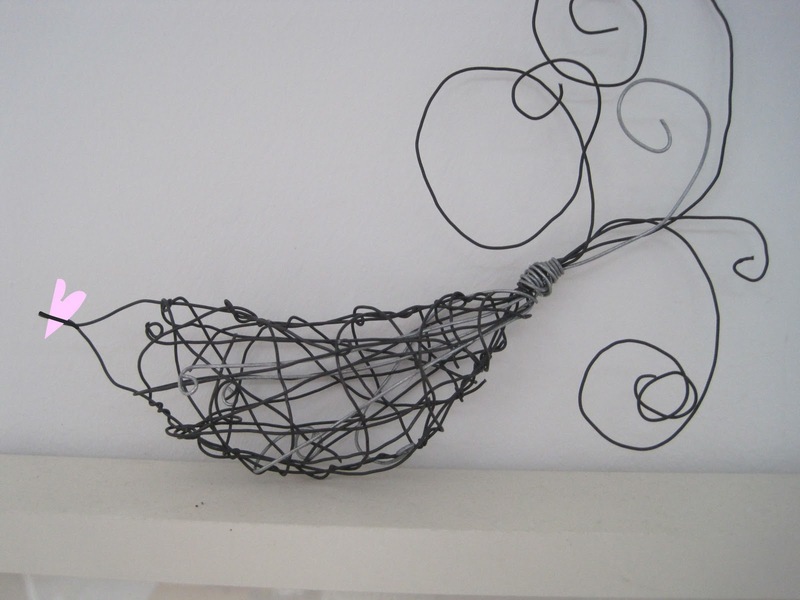 I attended a wire sculpture workshop last year and learnt a few of the basics so we all had a go at making a bird. It was great fun seeing the birds emerge and as always it's lovely to see how differently they all worked out, some of them had lots of personality - here is mine!